The two day Solid Edge Simulation Class focuses on using simulation to significantly reduce the need for physical prototypes, lower material and testing costs, and save design time. It will cover fundamental skills and concepts central to the use of Solid Edge Simulation. At course completion, Students will have learned how to reduce the need for costly prototypes with virtual testing, get products to market faster with reduced physical testing, innovate more by experimenting with designs virtually, reduce recalls by finding out if your product fails before it reaches the customer, optimize material usage and minimize product weight, and be able to execute redesigns faster with synchronous technology. Who should attend – This course is intended for advanced users that want to get a jump-start on becoming proficient with the Solid Edge Simulation product. Lack of Mechanical Design and Windows experience is very difficult to overcome in the classroom. Students who lack one or both should realize the impact it will have on their learning experience. 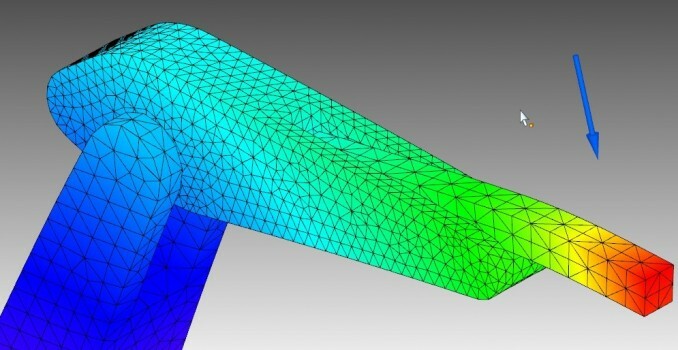 Just a little exposure to Solid Edge Simulation prior to the class can make a big difference.